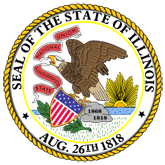 Press Release: The Illinois Department of Employment Security (IDES) announced today that the unemployment rate in May decreased 0.2 percentage points to 6.4 percent and nonfarm payrolls decreased by -2,500 jobs, based on preliminary data released by the U.S. Bureau of Labor Statistics (BLS) and IDES. 1. Overall Job Growth Still Lags National Average as Illinoisans Leave Labor Force (16-0449-IDES-May-2016-unemp-6-16-16.pdf).